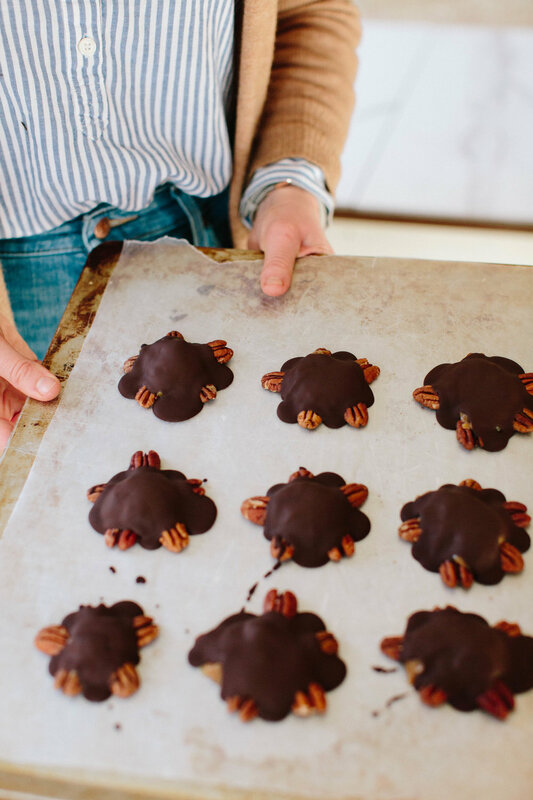 The only recipes I’ve posted for 2019 so far are all sweet things, which totally goes against the whole new-year-new-you trend, but it just feels so right for this space right now. It reflects the heart of my kitchen because let’s face it, even though I cook 2-3 savory meals every day and cooking is growing on me more and more, my soul still belongs to baking. My first true love. It’s also true to the current theme of my kitchen, speed. 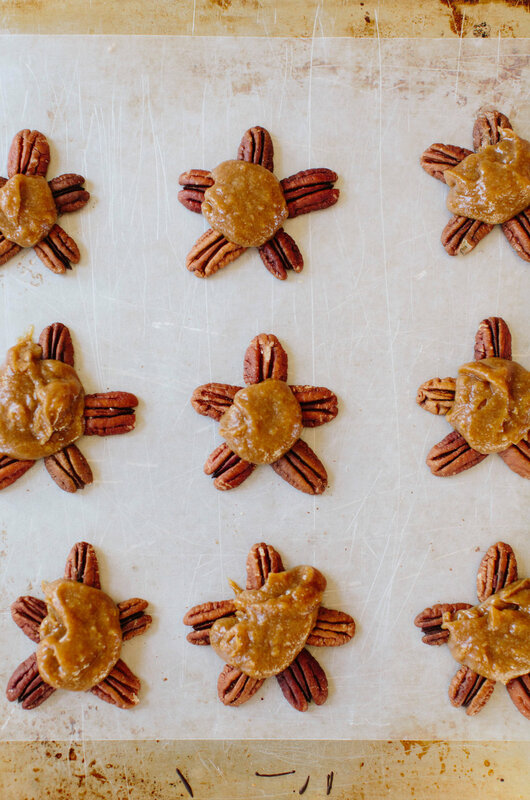 These turtles come together in under 10 minutes (maybe 20 with the freezing time) and they’re as delicious as they are adorable. If you’re having friends over and need a little something sweet , I got you. If you just like a little something-something after dinner every night (or breakfast and lunch), I got you. 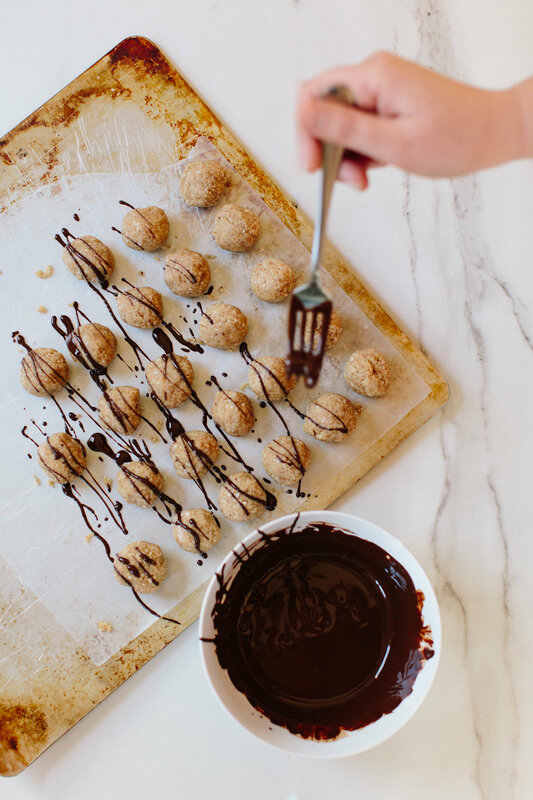 Place the chocolate and coconut oil In a medium bowl and microwave in short increments, 15-30 seconds or so, until they have both melted. Be careful as to not burn the chocolate. 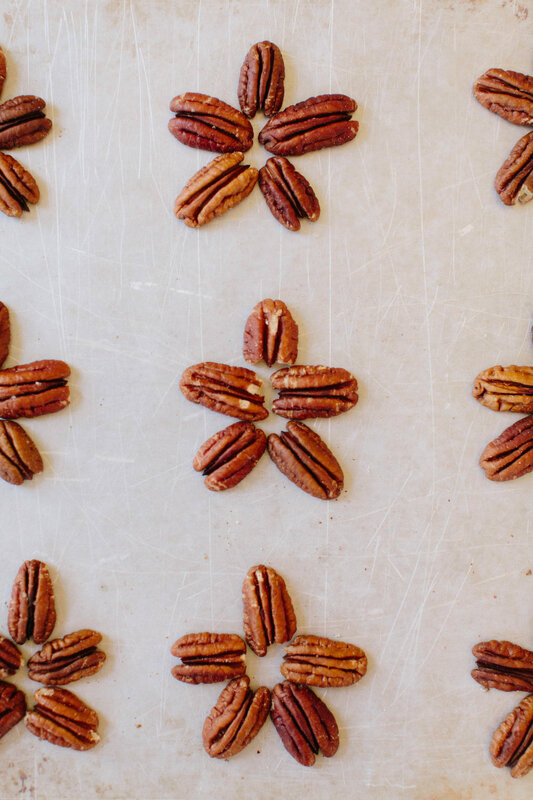 On a sheet of parchment paper place 5 pecans together as to create a star formation (see pictures). 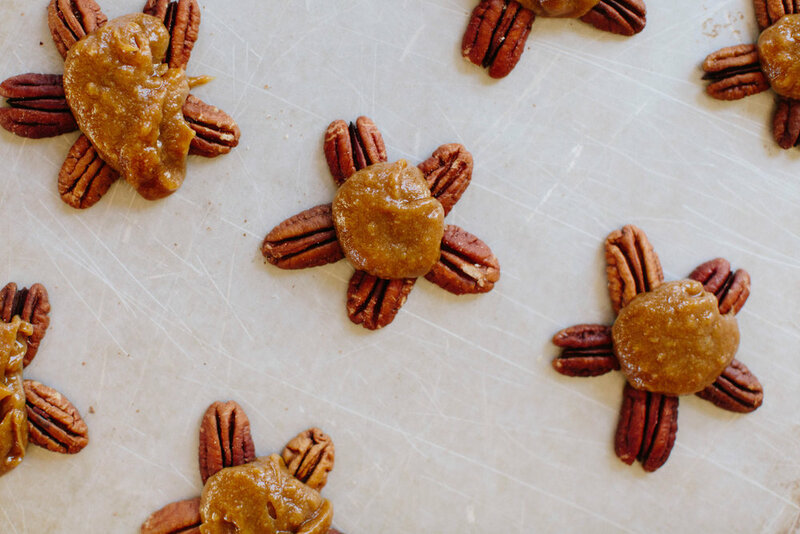 Place about 1 tablespoon of vegan caramel in the middle of each of the stars. Next, use the melted chocolate to cover the caramel. Leave the little turtle feet and heads poking out to maintain the cute “turtle” vibe. No matter what happens though, they’ll taste good. Place in the freezer for a few minutes to allow the chocolate to harden. Remove from the parchment paper and place in an airtight container for 3-4 weeks in the refrigerator.